Sackville, NB, Canada -- The Downeast Bluegrass & Oldtime Music Society is pleased to announce the nominees for the 30th Annual Eastern Canada Bluegrass Music Awards. As the season of summertime festivals closes, the Downeast Bluegrass & Oldtime Music Society was pleased to present the 30th Annual Eastern Canada Bluegrass Music Awards on October 18th, 2014 at the Cobequid Educational Centre in Truro, NS. IBMA Entertainer of the Year Nominee, Balsam Range remains firmly at the top of the Bluegrass charts with "Moon Over Memphis." "Moon Over Memphis” is the Number One Bluegrass song on the charts again this week, marking two straight months for the upbeat and contagious tune at No. 1 on the Bluegrass Today Monthly Chart, and three straight weeks on the weekly chart. “Moon Over Memphis” features the deft vocals of IBMA Male Vocalist nominee, Buddy Melton, and that always remarkable Balsam Range pickin’. Austin, TX -- Hot on the heels of their Aug. 12 Compass Records release, Cold Spell, Washington, D.C.’s Frank Solivan & Dirty Kitchen learned they received multiple 2014 International Bluegrass Music Award nominations, including a repeat nomination for Instrumental Group of the Year. And last week, the album entered Billboard’s Bluegrass Music Chart with a Hot Shot Debut at No. 3. Nashville, TN -- Rural Rhythm Christian recording group Locust Ridge has been nominated for “Bluegrass Album of the Year” at the 45th Annual (GMA) Gospel Music Association Dove Awards. Deep in the mountains of East Tennessee, you will find the small rural community of Locust Ridge. You will also find a very popular mountain gospel group in this area appropriately named after the community Locust Ridge. Nashville, TN -- The Gospel Music Association (GMA) announced today, from Allen Arena on the campus of Lipscomb University, the nominees in 42 categories for the 45th Annual GMA Dove Awards. The conference was also streamed live on www.hearitfirst.com/live. The awards show will take place on Tuesday, October 7, 2014 at Allen Arena on the campus of Lipscomb University in Nashville, TN at 6:30pm CT. Trinity Broadcasting Network (TBN) will air the awards show on the network’s global stage reaching over 100 million homes in the US, plus global and multi-platform distribution. Voting for the final winners will run August 26th through September 9th. Perhaps you followed the drama that surrounded the International Bluegrass Music Association moving its annual World Of Bluegrass convention from Nashville to Raleigh, NC last year. The group, which supports the art and business of bluegrass worldwide, wrestled with declining attendance and many complicated pros and cons of Nashville. We were courted by officials from Raleigh who proved beyond a doubt that they wanted World of Bluegrass to be part of their Fall calendar and culture. And long story short, we made a very tough decision to head to a new city and it went better than any of us dared to hope. Even the IBMA Awards show was a hit, despite the painful sacrifice of moving out of the Ryman Auditorium. Nashville, TN -- Detour bluegrass band is proud to announce they will perform Wednesday, August 13 at 7:00 p.m. at Music City Roots - Nashville's acclaimed Roots and Americana variety show hosted by Jim Lauderdale. 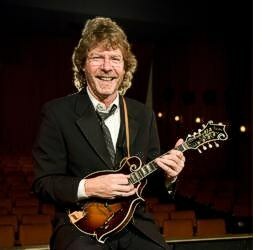 This live concert event, featuring Sam Bush, Detour, Balsam Range and Becky Buller, will be webcast nationwide at musiccityroots.com or via the new Livestream app for phones and tablets. Fans can also tune in to Hippie Radio 94.5 FM in Nashville. Tickets are $15 and can be purchased at MusicCityRoots.com. Nashville, TN -- Bluegrass fans all over the globe can watch live as the final nominees for the 25th Annual International Bluegrass Music Awards are announced on Wednesday, August 13 at 4:45 pm Central/5:45 pm Eastern; for the fourth year in a row, Music City Roots (MCR) will broadcast the nomination press conference live at www.MusicCityRoots.com, from Liberty Hall in The Factory at Franklin (230 Franklin Road) in Franklin, Tennessee. Junior Sisk & Ramblers Choice is getting ready to head back out on the road beginning in February. The superb bluegrass music group has got some great shows coming up all across the country, and they are really excited to get to see lots of old friends and make new ones! Nashville, TN -- Lorraine Jordan, founder and bandleader of Lorraine Jordan & Carolina Road, has been nominated for Female Vocalist of the Year (Traditional) by the Society for the Preservation of Bluegrass Music of America (SPBGMA). Winners will be announced at the 40th Annual Bluegrass Music Awards during the SPBGMA National Convention on Sunday, February 2, 2014. Lorraine Jordan is also scheduled to perform during the event on Friday, January 31. The 40th Annual Society for the Preservation of Bluegrass Music of America (SPBGMA) Bluegrass Music Awards nominees have been announced for the awards ceremony which will take place during the society's 31st National Convention. The convention takes place January 30 through February 2, 2014 at the Sheraton Music City Hotel in Nashville, Tennessee. The awards show is definitely the highlight of the annual event and bluegrass music's biggest starts will be there participating in performances as well as collecting their respective trophies. Nashville, TN --- The reigning IBMA Instrumental Group of the Year adds yet another honor to its growing list of accolades. The Boxcars (www.theboxcars.com) have received a GRAMMY nomination for Best Bluegrass Album for It's Just a Road. Less than four years ago, five artists with impeccable musical pedigrees and a passion for “just playing good bluegrass” came together to form The Boxcars. Although the members have winced at the term, the band has been often called a “supergroup” for the storied careers of its members: Adam Steffey, Ron Stewart, John Bowman, Keith Garrett and Harold Nixon. Still, the artists welcome each honor with characteristic humility. Nominations for the 56th Annual Grammy Awards were announced by The Recording Academy. The Boxcars, Dailey & Vincent, Della Mae, James King and the Del McCoury Band lead off for the Best Bluegrass Album Grammy Award nominations. This is always an exciting time for bluegrass bands and probably even more exciting for the International Bluegrass Music Association's (IBMA) Emerging Artist of the Year Della Mae. Della Mae has had an outstanding year getting recognized, nominated and awarded for top awards in music. The Grammy nomination adding to their year. The Northern Bluegrass Committee produces the Central Canadian Bluegrass Awards. The nominations have been announced for the 35th Annual Central Canadian Bluegrass Awards which will take place Saturday, November 23rd at the Deerhurst Resort in Muskoka, Ontario. The awards are part of a bigger celebration. The three day event from November 22-24 includes a lot of activities besides the awards including jam sessions, vendors, daily performances from some outstanding bands. Workshops are also available for attendees.